Natural Beauty Finds – The perfect gift! 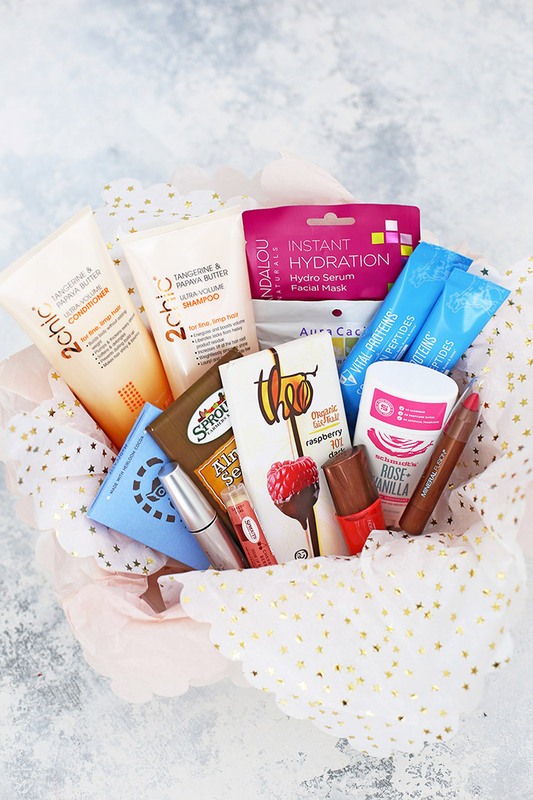 Natural Beauty Finds – Mother’s Day is around the corner, and this fun basket is stuffed full of natural beauty favorites. From makeup, to supplements, to fun treats to make you feel wonderful from the inside out, this is a perfect gift for the lady in your life! Can you believe it’s May? Even more–can you believe Mother’s Day is only two weekends away? It’s coming fast, so we’ve had fun thinking about how to celebrate our moms and the friends and ladies in our lives. 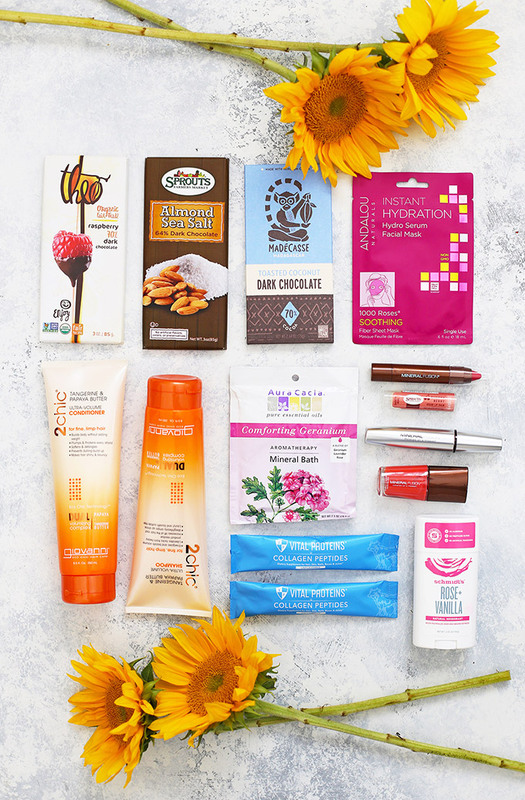 Sprouts invited me to curate a Mother’s Day basket all from beauty finds at Sprouts. Challenge = accepted! In the last year or so, I’ve been experimenting with natural beauty finds. I’ve got a skincare routine that works well for my skin, but I’ve had so much fun playing around with natural choices for makeup, shampoo, nail polish, and more. 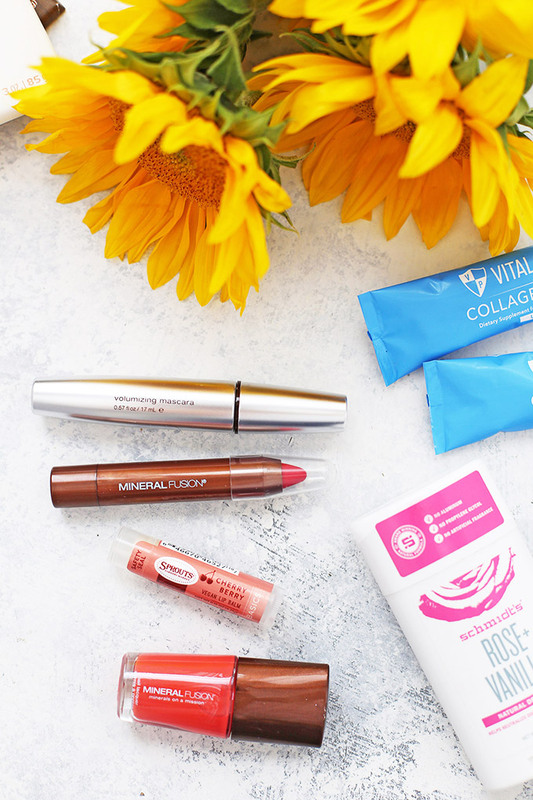 There’s nothing like some good old fashioned pampering, and it’s so great when you can pick up quality beauty products right along with your groceries! Sprouts has a HUGE array of body care and beauty products to choose from, and it was so fun to curate just a few of my favorites. A Little Hair Care – It’s not exactly a trip to a salon for a blowout, but a good shampoo and conditioner can make all the difference in how well a wash, blow dry, and curl go! Not all shampoos and conditioners are the same, but I’ve loved this 2Chic Line from Giovanni. I’ve got straight, fine hair, so their volume formulation is my favorite–the tangerine papaya scent is incredible! For curly, or thick-haired friends, their moisturizing line is also a great choice and developed with curls in mind. PS – Here’s how I curl my hair, what products I use, etc. A Fun Face Mask – There are so many different face masks out there. My daily routine cares for my skin pretty well, but when I’ve spent a lot of time outside, or the seasons are changing, I can get a bit dry, so a nice hydrating mask is always a fun treat. I got Andalou Natural’s hydro serum facial mask and thought it did a great job. A Pretty Deodorant – You might laugh, but I love gifting something that smells amazing, and this natural Rose-Vanilla deodorant TOTALLY smells amazing. I mentioned it in April’s monthly favorites post–it really does work, too! A Trick for Luscious Lips – You can go the moisturizing route with a little lip balm (Sprouts makes a great Cherry-Berry version that’s vegan and lasts well). Or, if you’re into a little color, you can pick up a tinted lip balm, lipstick, or lip crayon. Mineral Fusion makes a great lip crayon. I’ve got it in Smolder (above–nice, bright pink) and Flicker (lovely and subtle). You can see the Flicker color on me here. A Lash-Lengthening Mascara – I’ve been really happy with the Mineral Fusion mascaras. I’ve used them off and on since December and recently tried their volumizing formula. It really does add some serious volume! Their curling formula is my other favorite. My lashes feel so long when I’ve got a few coats on! It also washes off like a dream and doesn’t smudge or crumble throughout the day. 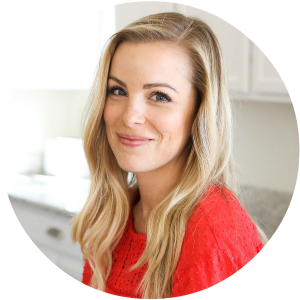 A Skin Boost – I’ve talked about my love for collagen more times than I can count, but Vital Proteins collagen peptides are my protein go to. Collagen has a huge host of benefits, with hair, skin, nails, and joints among them. I swear my skin feels more glowy and healthy when I’m regularly including collagen in my diet. It blends into warm or cold things, so you can add it to a steaming cup of tea, a cold smoothie, soup, pasta sauce, oatmeal, lemonade, whatever! These little single sizes are perfect for sampling, or taking it on the go! A Little Indulgence – What is life without something yummy to enjoy? A little chocolate makes me feel amazing from the inside out! (Plus, they say the antioxidants make dark chocolate a health food, so…) Sprouts has such a great selection of dark chocolate and eco-friendly/fair-trade options. The Sprouts brand sea salt almond bar is one of my favorites, but I also love Theo, Endangered Species brand, and MadéCasse. Put everything together in one beautiful bag or basket, and it’s the perfect gift! It’s just the thing to help someone feel beautiful, loved, and special! Do you have any natural beauty favorites? Have you tried any of my finds? 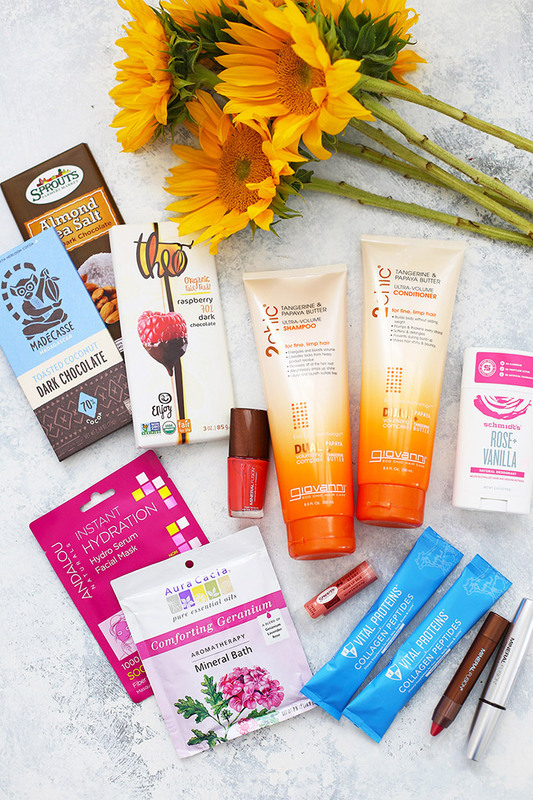 Don’t miss all these faves and even more beauty and self-care finds at your local Sprouts! My favorite hair-care line is Alba Botanica, while my favorite body wash and hand soap are from Jason. I also use Alima Pure for my makeup (Earth minerals).